The objective of ITSI Transactions on Electrical and Electronics Engineering (ITSI-TEEE) is to help professionals working in the field, educators and policy makers to contribute, to disseminate information and to learn from each other's work. ITSI-TEEE also aims at establishing channels of communication between Centres of Excellence for Electrical and Electronics Engineers, software developers, Students and users worldwide. ITSI Transactions on Electrical and Electronics Engineering (ITSI-TEEE) presents original research on the theoretical, experimental and applied aspects of Electrical and Electronics Engineering. 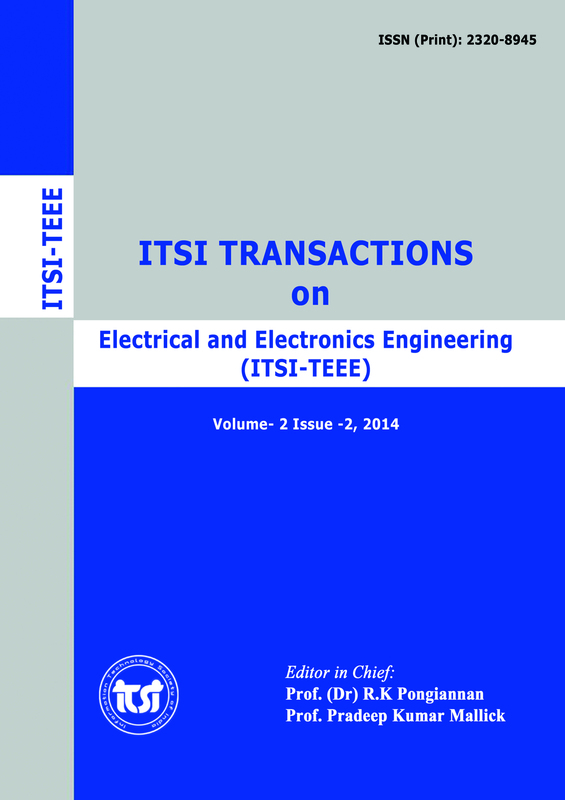 ITSI Transactions on Electrical and Electronics Engineering (ITSI-TEEE) is a refereed international journal, published six issues per year, providing an international forum and an authoritative source of information in the field Electrical and Electronics Engineering.